Please arrive at 9.00am for a our of the school. 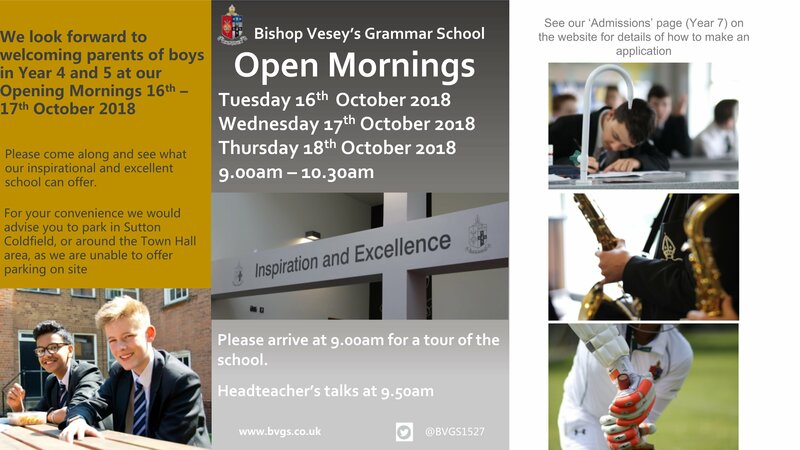 Please come along and see what our inspirational and excellent school can offer. For your convenience, we advise that you park in Sutton Coldfield, or the area around the Town Hall area, as there will be no parking available on site.